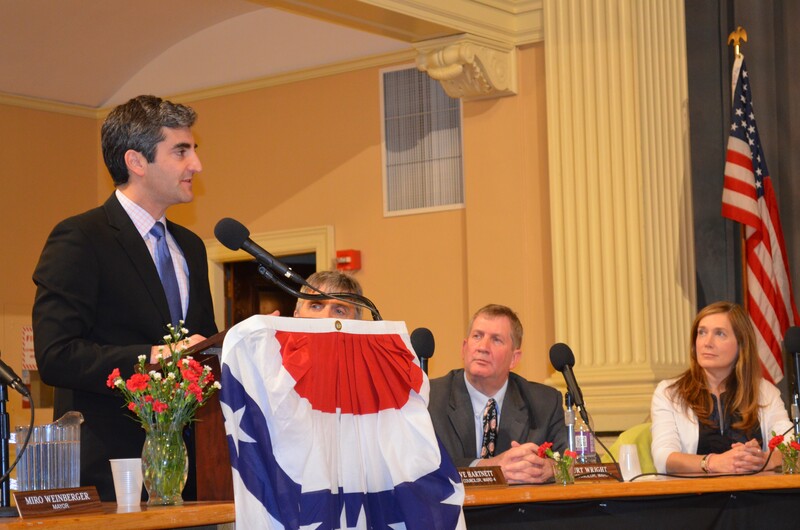 Mayor Miro Weinberger gives the annual State of the City address to the City Council. The newest incarnation of the Burlington City Council elected its president Monday evening in a surprisingly conciliatory fashion. Leading up to the election, there had been murmurings about an alliance among the non-Democratic members that would seek to claim the council presidency. That group appeared to have the upper hand: Last year, after an extended stalemate between Democrat Joan Shannon (Ward 5) and Independent-turned-Democrat Karen Paul (Ward 6), the council struck a deal, agreeing that Democrats would cede the leadership seat the following year in the event of another stalemate. Why squander the chance to take control of the council — as the agenda setter, the president can hold significant sway — from the majority? After about a week of behind-the-scenes back-and-forth between the Ds and the non-Ds, Wright said he backed down on the condition that the same deal apply next year. Plus, Wright added, the non-Ds didn’t have pressing complaints about Shannon’s tenure, and he wasn’t craving the presidency — a post he held during a past stint on the council. In fact, he said, he only began mulling a run after Bushor and Knodell both decided against it. 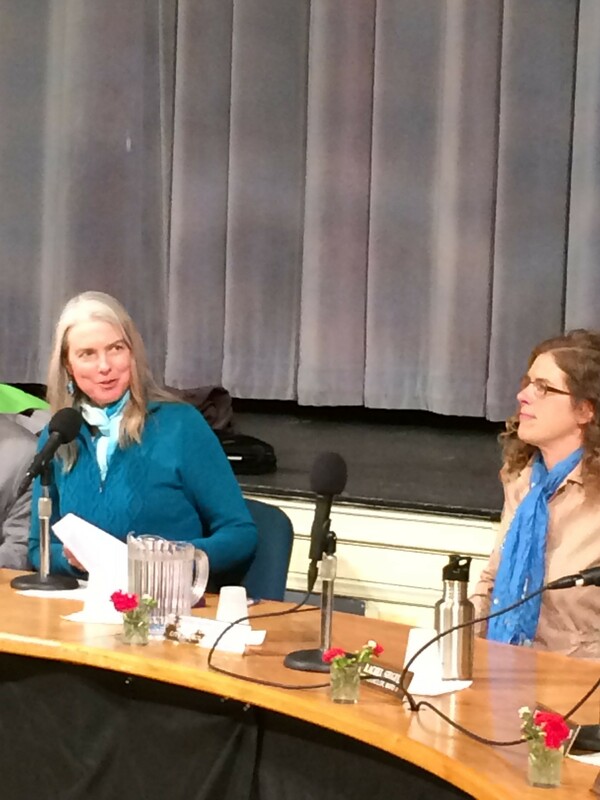 Wright was one of three members, elected last Town Meeting Day, who officially joined the council on Monday. Democrat Bianke LeGrand (Ward 7) — who, as Mayor Miro Weinberger pointed out, is the first New American to serve on the city council — and Progressive Selene Colburn (Ward 1) are both starting their first terms. The evening — which began with Mayor Weinberger’s State of the City address, had a festive feel. Wright arrived with his golden retriever puppy in tow; Rachel Siegel wore a large purple flower in her hair and family members, including children — unusual for city council meetings — enlivened the audience. The Mayor’s speech was not, however, tailored to the younger crowd. Unlike Gov. Peter Shumlin, who created a media splash by devoting his entire State of the State to what he called Vermont’s “full-blown heroin crisis,” Weinberger stuck to the nuts and bolts, choosing to touch on variety of topics that ranged from credit ratings to crumbling infrastructure. Weinberger hailed his administration’s efforts to promote fiscal transparency and prudence, declaring, “We have ended the secretive and destructive financial practices of the past.” He cited the Burlington Telecom settlement deal and improved credit ratings for the airport and the Burlington Electric Department among the accomplishments. “Fixing the city’s finances,” Weinberger continued,” will remain his top priority for 2014. That includes stemming the cost of K-12 education and the city’s pension fund as well as seeing the Burlington Telecom settlement through to completion, he said. She noted, however, that Weinberger — who specifically mentioned the downtown and the Pine Street corridor when outlining his vision for promoting economic development — neglected to say anything about the Old North End.